to find that Love loves another lover in the crowd. to think that marrying would not set free. then Love will find another lover in the crowd. and the weak stand on their bodies to miss their blunder. love will find another lover in the crowd. and loving arms are folded to dismiss a broken heart. Solomon Koikoi Nkadimang was born in Postmasburg, Lohatlha, in 1964. Nkadimang’s commitment and love for the arts was confirmed when, in the early 1980s, he joined forces with Hilda Bernstein – author of Death is Part of The Process and For Their Triumphs and For Their Tears – to re-establish the Solomon Mahlangu Freedom College, Young Writers Association. After a need to strengthen the performing arts was identified, the author formed the Ahmed Kathrada Theatre Unit, with the help of Philiswa Biko, Theresa Bailey and Allen Marsden. Whilst Biko, Bailey and Marsden left South Africa to promote anti-apartheid oriented causes abroad, NKadimang remained – in East Africa – to script plays for delegations to Europe and other parts of the world. In the mid-eighties, the author toured Europe and Asia with cultural productions that sought to educate the world about the plight of South Africans and the anatomy of apartheid as a crime against humanity. The author was also acknowledged in a documentary – that commemorated the tenth year of their slaying of Solomon Mahlangu – as a resourceful arts-and-culture practitioner in Tanzania; NKadimang co-organized the cultural programme of the ANC’s first international Conference at Arusha, in Tanzania, with Sanki Mthembu and Seiso Morapedi. 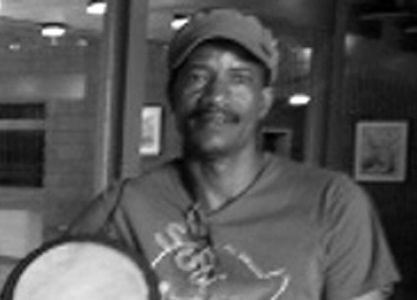 The author was appointed Deputy Regional Cultural Coordinator of the ANC in East African, towards the late 1980s and thereafter was commissioned by the ANC President, Oliver Reginalt Tambo, to join the National Cultural Ensemble of the ANC (Amandla) in Angola, where he was expected to write the post-production script of the ensemble. Most of the work had already be dome, by the president himself, in respect of choral music adaptions of great choral pieces – including the adaptation of Nelson Mandela’s Rivonia Trial speech, for stage recital. NKadimang worked tirelessly under the mentorship of Mr. Jonas Gwanga and his fellow cast members to rewrite the script. The author then stayed on as an actor, later moving to Harare, Zimbabwe, with the ensemble, until it was repatriated – in its entirety – in the early 1990s.